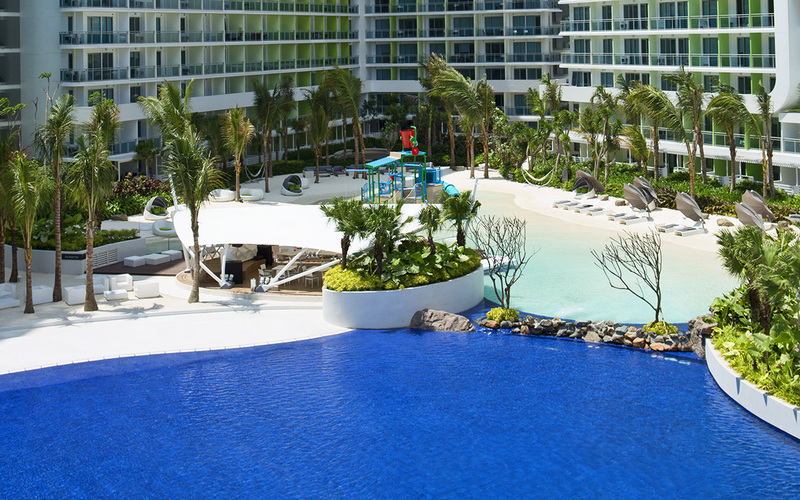 The true centerpiece of the Azure Urban Resort Residences is the Azure Beach – an iconic man-made beach facility with fine white sand, undulating waves and waterfalls. The Azure Beach Bar is a dynamic hangout in the middle of the Azure beach. Breezy and well-stocked with light snacks and an assortment of beverages, it also houses a DJ deck for day jams and night parties. 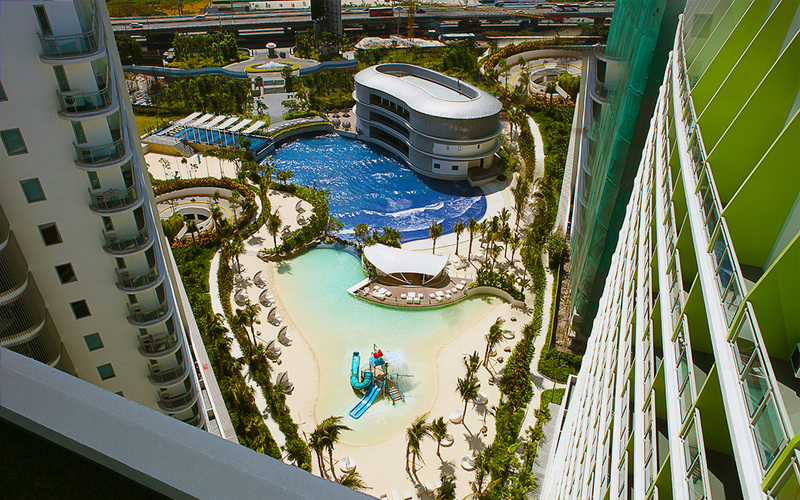 The beach playground features an engaging water play area with fun kiddie slides and large buckets that fill and empty themselves every few minutes, as well as valves designed for releasing spurts of water.